These invisible, adhesive strips by Bunheads keep pointe shoe ribbons securely tucked in place for a more professional look. 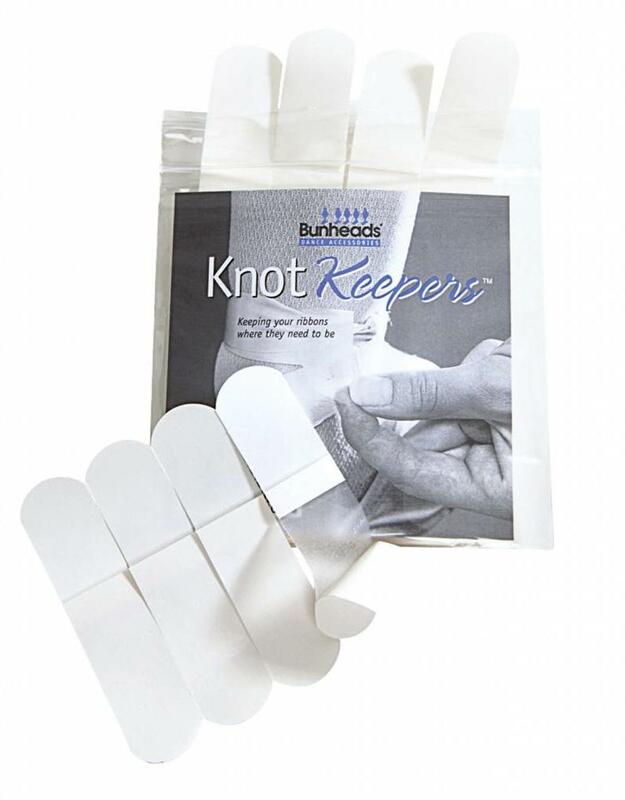 Directions: with ribbons tied and tucked in, slip in knot keeper with removable strips facing out. Unpeel strips one at a time and fold ends over ribbon. Press firmly to adhere. To remove, simply tear off. 24 per package.